When they have a need for outsourced hr support services, Rhode Island organizations can turn to the experts at HR Knowledge. We are an experienced administrative service organization (ASO), offering unbeatable HR support services Rhode Island business owners can rely on. 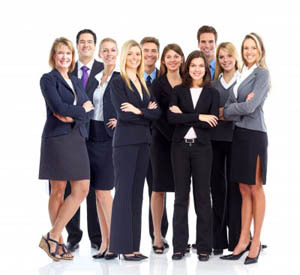 Here at HR Knowledge, our professional team of human resource experts boast over 100 years of combined HR experience. Located in southeastern Massachusetts, our organization is perfectly positioned to assist any New England organization. A short drive from Rhode Island, as your outsourced HR solutions provider, we can easily travel to your location whenever our on-site presence is needed. For more information on how we can help you to grow through our affordable, comprehensive services, contact us today! HR Knowledge is a different kind of ASO. We stand out from others in our industry because of our dedication to ensure client satisfaction. Once you turn to HR Knowledge, you can think of us as your partner. Our team of experts will stop at nothing to go above and beyond for each and every one of our valued clients. Offering concierge-level service is our promise. That means that when it comes to any one of our HR support services, Rhode Island organizations can trust they will be receiving the highest level of care available. If you are looking to outsource any of your HR needs turn to HR Knowledge first. From payroll and benefits, to hiring process management, HR Knowledge has everything your organization needs to build a solid foundation of HR practices. Human resources are incredibly important when it comes to managing a steady organization, which is why we have created affordable solutions for companies that need to outsource any of their HR capabilities. We always go above and beyond for our clients, adding value to everything we do. That’s why for HR support services, Rhode Island business owners should not hesitate to turn to the experts at HR Knowledge. Once you turn to HR Knowledge for any or all of our HR solutions, you will find that your time can be better spent on growing your business. Our services are designed to give our clients every opportunity to focus on their core responsibilities, and to let us focus on tasks such as payroll and benefits. Contact us online, or call us today at (508) 339-1300 to request more information about our HR support services. Rhode Island organization leaders can trust that HR Knowledge will go above and beyond to ensure their success.